This Walking Tour will also take you by and into some of Philadelphia's most prominent buildings. The buildings in this area are mostly from the mid-1800's through the present. Styles range from Beaux Arts, to Chicago and International style. Let's explore together Philadelphia's Gilded Age to now. Beginning at Reading Terminal, we will wind our way west on Market Street past the PSFS Building, Wanamaker's, and the Market Street National Bank. Passing the Masonic Temple we head through City Hall down Market Street past Girard Trust, the Union League, the Academy of Music and many more buildings. Heading up 15th street, we will see Renaissance palazzos and Art Deco structures. 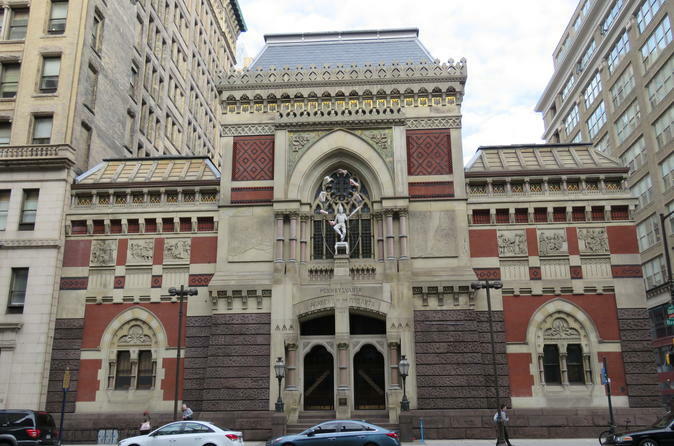 We end at Frank Furness' masterpiece, The Pennsylvania Academy of the Fine Arts. Join me for a fun filled tour in the heart of Philadelphia. We will compare the 1st Gilded Age from the late 1800's to our present 2nd Gilded Age.